Make Latitude your one stop shop. These days more than ever, most customers are looking for value when they buy. Today’s consumers lead busy lives and are often looking for added value that will save them time, along with a quality product that lasts, something you won't get by buying the cheapest product. At Latitude, we pride ourselves on our cutting edge fabrication techniques and our customer service. We know that most customers not only want to work with someone they trust and who does quality work, but is also there for them post sale should any issues arise. This is the reason why a lot of our work is featured on the home shows that are filmed around the GTA. If you have a rennovation coming up, make sure you stop by for your countertops, sinks, faucets, and more. Don't forget, Latitude offers financing at competitive rates that can be paid off at any point in time without penality. Over the last few years, many different finishing options have come to market for granite and quartz countertops. Before these last few years, we had only been able to see Granite and Quartz in polished finishes. Now that the industry has grown and quartz and granite are hugely popular in modern design, we are beginning to see a variety of available finishes for stone countertops. Leathered and honed finishes are often related to each other, but do have specific differences between the two. Honed finishes were first introduced to give stone a softer look compared to that of polished stone. One of the only problems to consider with using a honed finish is that it can affect the overall performance of the stone when it comes to staining. Leathered finishes have advanced the honed look to allow for better performance. Leathering closes the stone pores, which make it much more difficult to stain than a honed finished. Leathering also retains the natural stone colour while honed finishing tends to cloud out the natural colour of the stone. Silestone has been offering quartz countertop colours in a leathered finish for a nearly five years. Coming very soon, Silestone will introduce a new texture to the market that has not yet been approached: Volcano. This new Volcano texture is said to give the feel of an orange peel, while continuing to offer the same performance standards as their leathered and polished finishes. 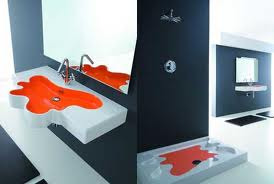 Silestone expects to release this finish, along with a variety of new and exciting colours this summer. 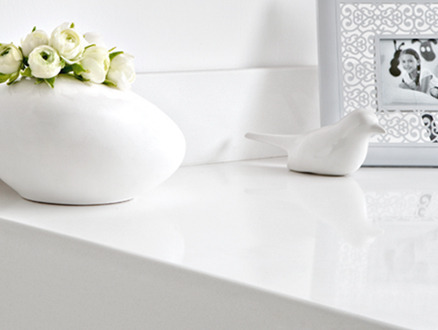 Silestone is able to offer their remarkable 15 year warranty with these new finishes as well. If you are interested in learning more about leathered, honed, or Volcano finishes to your granite or quartz products, please visit Latitude Countertops or speak with one of our knowledgeable and friendly sales team members. If the goal in your kitchen is to be as green as possible, Latitude offers the best options for countertops. Our knowledgeable sales people are always on hand to answer any questions that you have about the green qualities of the countertops that we offer at Latitude. The new environmental craze that is happening, in regards to granite, is the testing for Radon gases in granite slabs. Many people have asked us about Radon gases in granite, and what effect it can have on your home. Granite, and other natural stone products, always contains traces of NORMs (Naturally Occurring Radioactive Materials) that produce measureable amounts of radiation and sometimes Radon gas. Although all granite is tested for radon, it is possible that small amounts of the radioactive material can still be found in the slab. Not to worry though, as Radon gas usually becomes insignificant when diluted with the quantity of air in your home. Most Radon gas that is produced in your home is from the actual soil that your house is built on. 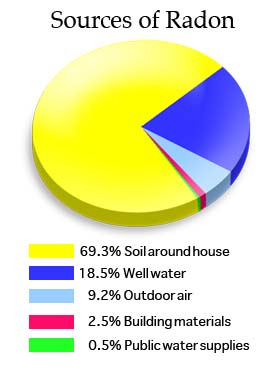 I have included a pie chart that shows the most abundant locations for radon gas in your home. Although granite does not usually have enough radon gas in it to be harmful to your family, you may still be cautious of putting granite in your home. In that case, Latitude offers 5 Natural Quartz Surfaces that are all leading the charge in safer countertop options. For your information, I have included links to each of these suppliers “Green Qualities” on their websites. If you have any other questions regarding the green qualities of countertops, please visit our showroom, or showroom locator for a Latitude dealer near you!! How Long Does it Take Latitude to Make a countertop? Latitude fabricates granite, marble and quartz countertops in 8 business days, AND beginning 2011, we will be fabricating in 7 business days. So from template or from when a layout is provided, you only have to wait 7 business days beginning in January 2011. What’s the catch? There are no catches. But there are a few things that we need to make this happen. We need all the details confirmed on the confirmation sheet (we have to know what we are making – the colour, edge profile selection…) and if we are templating, all the cabinets must be secured and installed in their final location. We create digital templates and they are very exact (within a milimetre!). Have your sink there too so the templator can ensure that it fits in your cabinet. Have a slide in stove? The templator will want to take a look at that too. Essentially, if it affects the countertop, the templator will want to know about it. Once the templator has plotted all the points into the computer, he translates everything into CAD. From there, in goes to the sawyers, to the laminators, CNC machines, water polishers, into installers trucks and to your home…in SEVEN BUSINESS DAYS! Want us to make it from your drawing? No Problem! Ensure that your layout has the shape clearly drawn, and all sides have the exact measurement that you want us to make the top. The centre of the sink must be clearly marked since that is how we need that to cut the sink top out. 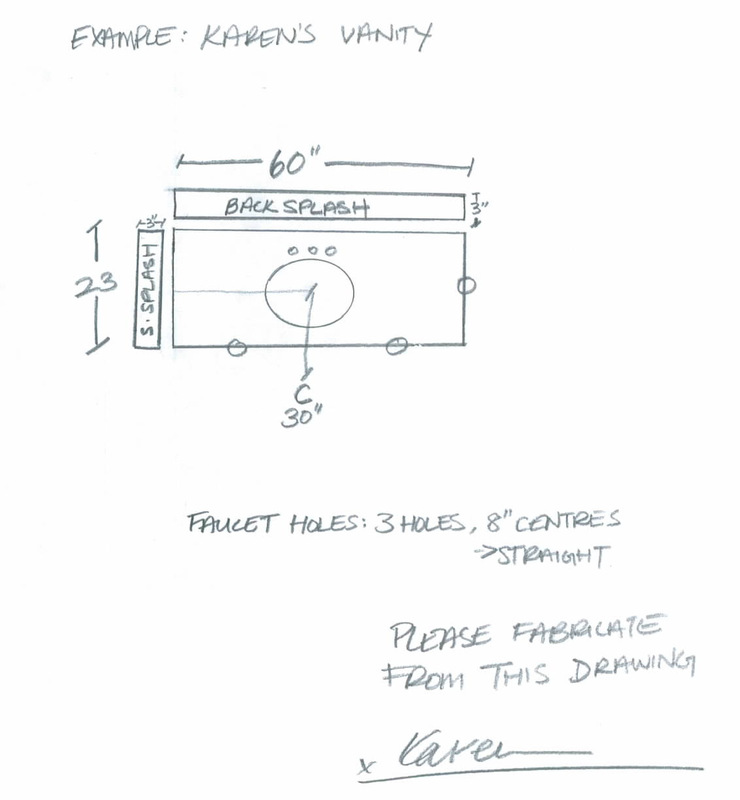 Edges that need to be finished should be marked with an “o” on the drawing and we need to know how many faucet holes to drill (typically single, 3 hole 4” centres, 3 holes 8” centres drilled either straight or curved. We will look over the drawing and let you know if we have any issues with the drawing that you give us. And again, from there, in goes to the sawyers, to the laminators, CNC machines, water polishers,into installers trucks and to your home…in SEVEN BUSINESS DAYS! We do recommend that you have one of our professional templator come to your home to digitally templator your kitchen, since the space tends to be bigger and more complicated. Recently, I had the opportunity to attend the monthly chapter meeting for the NKBA, being held at Euro-Line Appliances in Oakville. It was nice to meet and socialize with the other members of the NKBA, while enjoying a delicious meal and an informative presentation. The guest speaker at this month’s chapter meeting was Janette Ewen, Décor/Design Expert and Co-Host of “Inside the Box” with Ty Pennington. Janette has toured Europe visiting many different Design and Decor Shows, gathering new trends that are beginning to be seen amongst their design community. The presentation was very interesting, and I was able to take away a few great ideas that are beginning to be seen in the counter top and kitchen design industry. 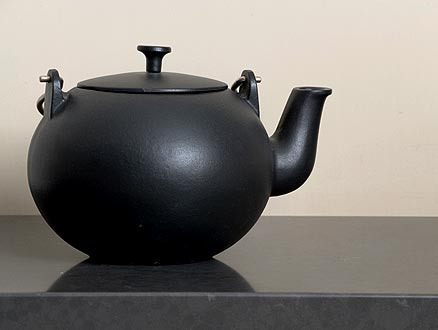 Janette mentioned that, currently, the common trend in Europe is to choose basic, simple colours such as black, white, and grey, as the main colour theme in the kitchen. Use these colours as the central point in your kitchen, such as appliances, countertops, and even sinks. After designing your kitchen around these basic colours, Janette suggests accenting the kitchen with bright colours, such as blue and green. These accent colours should be seen in smaller, more exchangeable items in the kitchen, such as dish towels, soap dispensers, and centre pieces. Using accent colours with these items allows you to change the look of your kitchen as trends continue to change throughout the years. This helps keep your kitchen in style, without having to spend too much money. Quartz counter tops can be a great addition to this package, as they are the most durable counter top that Latitude offers. We currently offer the following Quartz products: Silestone, Caesarstone, Hanstone, Compac, and ECO by Cosentino. 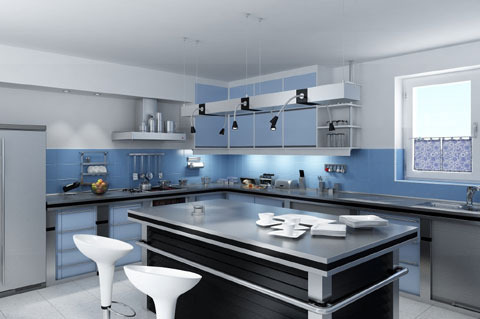 At Latitude, we offer many different styles of black, white, and grey counter tops. Caesarstone continues to produce the boldest colours in these shades. I have included a few pictures of what these colours look like, but the best way to get a view of these colours is to visit our showroom, or one of our many dealers that can be found on our Showroom Locator. Latitude’s showroom is open Monday to Friday 9am-5pm, and Saturdays from 10am-2pm. I look forward to discussing these new and upcoming trends in the counter top and kitchen design industry, when you come visit us at Latitude. Are you thinking of installing a new countertop for your kitchen or bathroom but are unable to decide between a granite kitchen countertop or a quartz kitchen countertop. Don’t worry, this is a common issue that many consumers face when embarking on a renovation journey. Quartz is found in large quantities on our planet and is a very hard substance even in its crude form. Diamond, sapphire and topaz are the only minerals that are more scratch-resistant than quartz. If we go by the Mohs' Hardness scale, which is used to determine the scratch resistance capacity of a mineral, quartz is ranked 7 on this scale while diamond is ranked 10. Quartz countertops come in a few different brands (Silestone, Caesarstone, Hanstone, Compac, etc) but they are all essentially the same, 93% Quartz and 7% resins and colours. These compositions make quartz countertops very hard and quite durable. Engineered quartz countertops are when compared to granite are much less porous and caring for them is quite a bit less maintenance. Since the quartz slabs are engineered they do not need sealing and the colours are very uniform throughout the slab. They do however have a ‘manufactured’ look to them which you will either love or hate. Granite is a strong and dense material when it’s extracted from the earth. It comes out in large blocks which are later broken down into smaller slab sizes. The granite slabs are polished using a polyurethane sealer which makes the granite more water resistant. Granite countertops are, when not cleaned properly, vulnerable to contamination from bacteria. A mild detergent and warm water can solve this problem. The quantity of quartz in granite countertops is about 50-60%. Because of this, granite countertops are not as hard, or as crack-resistant. A granite countertop is only about half has durable as a quartz countertop. The biggest advantage of granite countertops is that they have a very natural and elegant look to the surface and it gives a very rich look to your kitchen. While installing a countertop, it makes sense to keep in mind that once the countertop is installed, it becomes the centre piece of any room and it’s important to take every measure to ensure that it adds value to the existing look of the house. For a comparison chart please click here. Questions or comments? Feel free to email me at Jonw@latitudeonline.ca and I look forward to seeing you in our showroom. Top three issues before choosing marble for your kitchen counter top. People love the look of Bianca Carrara marble for their kitchen but how practical is it? 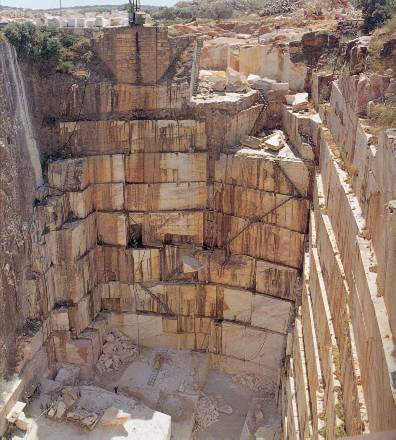 Bianca Carrara (compared to granite) is very soft and porous. Acidic juices from tomatoes or lemons etc., can etch it, red wine can stain it, and it scratches easily. So in a kitchen where the counter top meets oils, sauces and chopping regularly, it may not be the most practical choice. A good sealer is a must to help stop marble from staining. Anything that spills on marble will have to be wiped up immediately. Whether or not the marble is the right material for you is a lifestyle choice. For those busy people that don't have the time to clean messes right away, they may not want to go with marble but a granite or even quartz counter top. When purchasing a marble counter top, you have to be prepared to take the time to care for it. It is also interesting to note that marble counter tops have been used in homes and restaurants for hundreds of years and they didn't have the sophisticated sealers that we have now, they let it stain, chip and etch and still consider it beautiful. When customers come to Latitude for Bianca Carrara or other marbles for your kitchen counter top, we tell our customers that we don't recommend marble for kitchens; that it stains, chips and etches and ask you fill out a waiver to ensure that our customers understand the nature of marble. We want our customers to be informed and to make the best decisions. 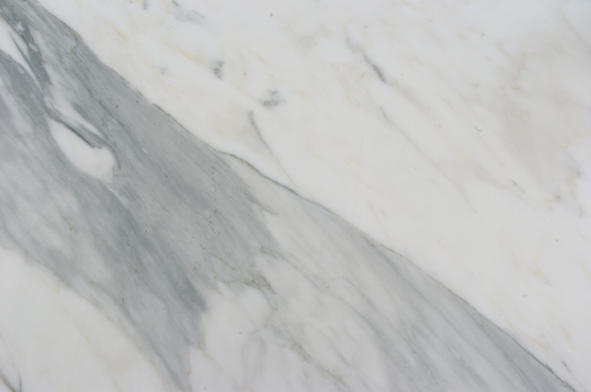 If you are choosing marble for you your kitchen, ask yourself these three important questions. Am I ready to seal it every year? Am I prepared to wipe all spills and messes right away? Can I continue to love my marble as it ages, even if it does stain, chip or etch? If you answer yes to these questions, then go for it! If you answer no or are unsure of your answers, then a granite or quartz counter top may be the better choice for you. Friends, rennovating their bathroom, came to our Toronto showroom last week. 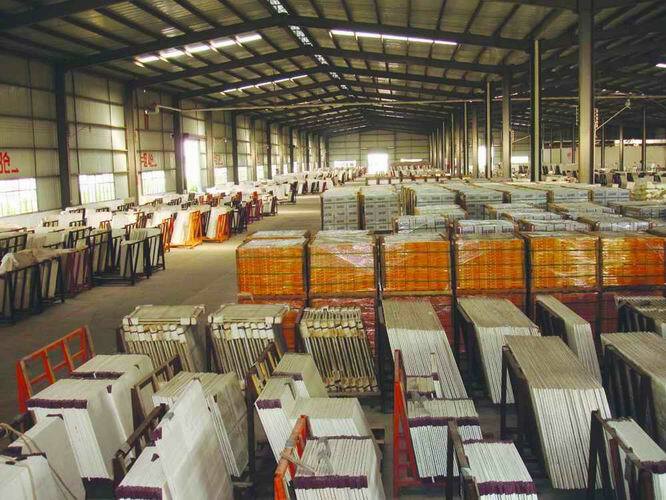 We chatted about design options and I showed them our factory with our extensive remnant inventory of granite, silestone and caesarstone. We discussed the use of Silestone slabs on the shower walls. 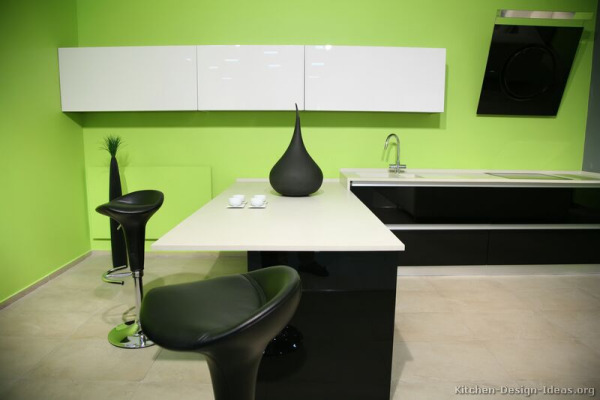 Silestone has microban technology which inhibits the growth of mold and mildew and odor causing bacteria. It's a great product to use, particularly in a shower or as a bathroom countertop. In addition, the use of granite or quartz for shower walls and backsplashes eliminates or minimizes the need for grout. Cleaning becomes dream work! When I showed them pictures of large slabs of granite or Silestone on fireplaces and quartz shower walls, that was all it took. They were impressed with the beauty of the large pieces and immediately decided to have their bathroom finished this way. It really does show off the beauty of quartz or granite. In addition to picking silestone for the shower, they chose granite for a seat and a shelf in the shower. Mixing these two materials can produce a very unique and appealing result. All of the materials came from our remnant inventory at incredible savings. The whole project will be completed in a few weeks and I'll have pictures to share when the project is done. If anyone has used large pieces of granite, silestone or caesarstone in a project please share with us pictures of your project. Of course, if someone has other unique design ideas that they would like to share with us, we greatly appreciate it. Granite or Quartz slabs for shower walls and vanities gives your bathroom a unique and stunning look. 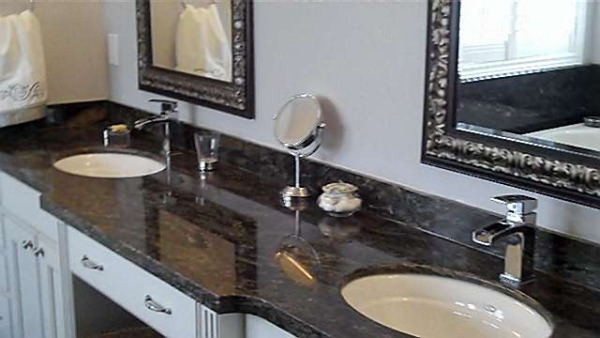 Granite and quartz really lets your personalize the look of your bathroom. You can be as unique or exotic as you like. It really depends on the material you chose. Best of all, slabs eliminate grout lines and if you are using Silestone with Microban, it will be mildew and mold resistant also!